There are admittedly certain aspects of housekeeping that I do not excel at. Amazingly, I think that a lot of my friends would say that I keep a pretty neat home, especially considering the three children, the dog, the cat, and my husband. Sometimes, I wonder if they look around very closely when they are here however. I am not a very good duster, and when I assign the task to the kids they never really apply themselves to it…and I guess I have no right to blame them. I can’t stand washing windows, and I have no love for scrubbing showers or tubs either. 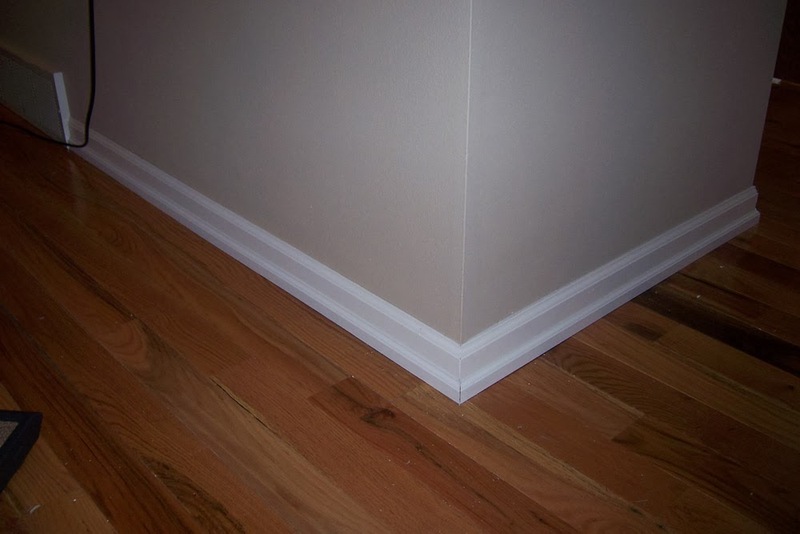 Often, when I have guests in my home, I look down and notice how truly terrible my baseboards look. I don’t understand how the things could possibly stay clean unless I went over each inch of them every single day. Having noticed this, I check out my friends’ baseboards when I am at their houses. After looking at a whole lot of baseboards, I have decided that mine are typically the dirtiest of the bunch. Maybe it is just all in my head. Maybe my baseboards represent something to me. I don’t know. Maybe it is because they don’t get noticed as much as the center of the living room floor. Something about the word though, makes me feel like I would really like to have them clean all of the time, as if they are the foundation for the rest of the house’s cleanliness. Like the windows, and the shower though, I just don’t enjoy cleaning them. I don’t mind laundry, or sweeping, or vacuuming. I don’t mind dishes…I even iron my husband’s shirts without complaint. Yet, I find no enthusiasm to go after those baseboards. It is probably due to the whole issue of them needing to be done each day. If I don’t plan on keeping up a cleaning regimen like that, then my sub-conscious just tells me; why bother? I try to imagine how women in the forties managed not to go completely insane, because I know that most of them stayed at home and dusted their baseboards every single day. It gives me a whole new understanding as to why that Valium-alcohol thing happened back then. It is possible that I am just stubbornly revolting against the fact that the dust keeps appearing there without any of us in the household actually directly causing the dust. Dust just happens, and it accumulates whether we are here or not. I know that it is the reason I can’t stand gardening. I find it extremely frustrating that weeds just shoot up in the garden overnight, and there is nothing I can do to stop them. So basically, I get after the floorboards when we plan on having guests, and I notice that they look particularly dusty…that is pretty much the only time that they get done…and I suppose, that’s adequate. Thank goodness for guests. Of course, I really would prefer to have a baseboard fairy who kept them nice and shiny every single day, but that is just not going to happen. Maybe eventually I’ll go nuts and start keeping up with them better. Maybe I’ll keep up with them when my kiddos leave the nest. Or maybe, I just have more important things in my life to do.